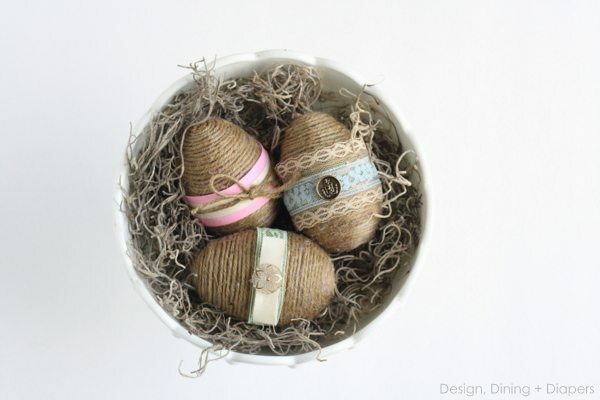 Would you believe I made these Shabby Chic Easter Eggs using a pack of plastic eggs from the dollar store? Well, it’s true! Today, I’m going to show you how easy it is to transform a dollar store item into a cute and inexpensive piece of decor. These eggs were easy to make and if you are any bit of a crafty person I’m sure you already have the supplies waiting for you at home! 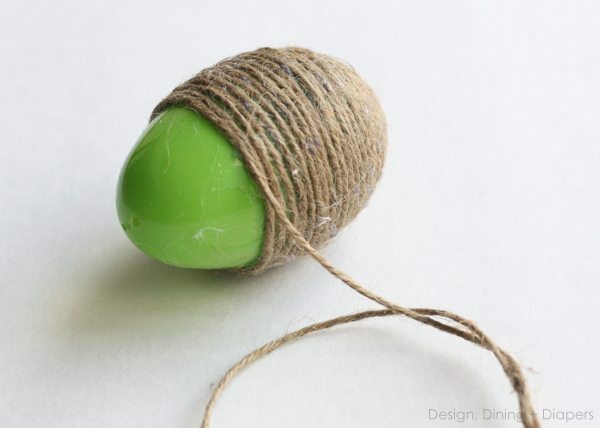 I started with a glob of hot glue on the bottom of the egg and then slowly wrapped the jute in a circular motion. 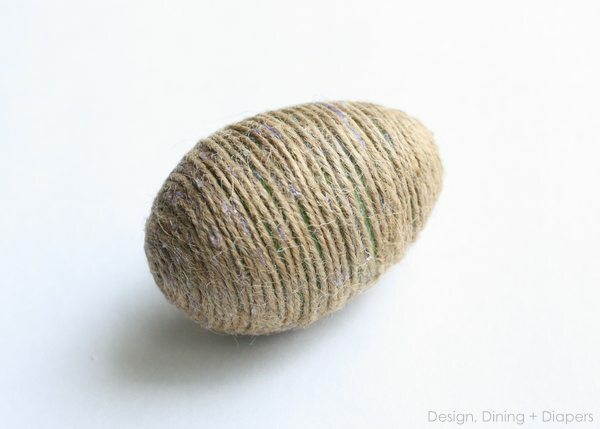 My suggestion is to only use a tiny bit of glue and work with a 1″ piece of jute at a time. If you use too much glue it will seep through. And to top things off, I added a few pieces of vintage ribbon, lace and a jute bow to give it a shabby chic look. I am very fortunate and I actually have all of my grandma’s old ribbon and lace from when she was young. So yes, mine is authentic! There are so many variations you can do, here are how my three little eggs turned out! I can’t wait to put them on my vignette! Do you have your Easter decor up already? This is a great idea. I might have to try this with the kids! Its still really cold here – which is so weird! I’m so ready for spring!!! 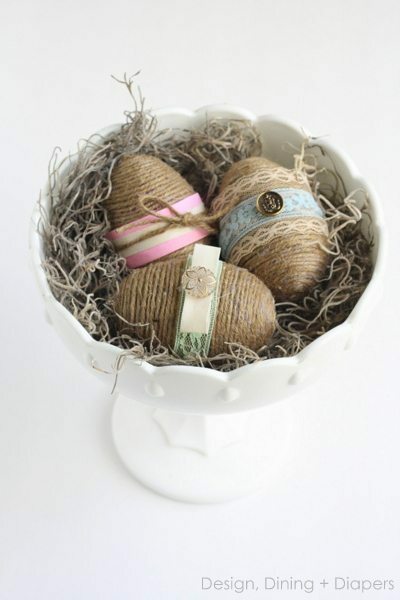 I love these shabby chic eggs! So, so cute!! Hi! You were the link before me on the Mom 4 Real link party! Just wanted to stop by to say hi and let you know that I think this project is great! Way to take fairly inexpensive items and make them look super! Great job! Thanks for sharing! I was wondering how to make something like these. Thank you for the instructions. 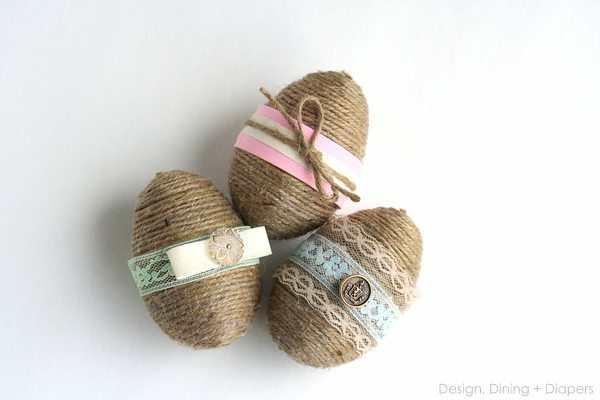 The eggs are so cute, love the adornments you added to them. Very clever use of the jute string. Everything you do is great, thanks for sharing a great project. Happy Easter and Spring. Wow! So cute! You could never tell they were plastic ;) Love it. Could I post the project in my blog provided that your blog is mentioned as the original source? I absolutely LOVE these eggs! 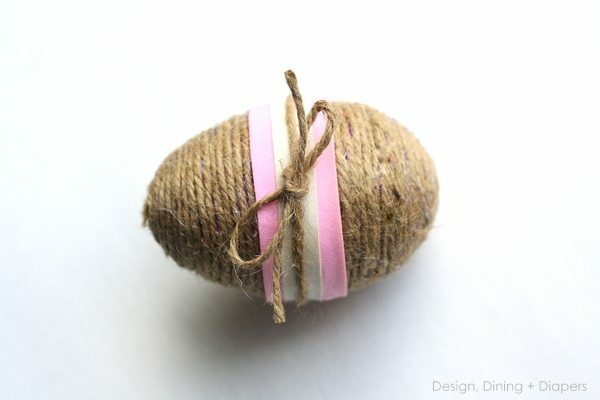 I just was wondering what I was going to do with all of the leftover eggs from our little egg hunt, now I know what I will do with them for next year. Thanks for sharing! Amazing! I love these :-D Pinning them to my Easter Treats board now, thanks for posting! gorgeous !! I have everything I need – and I never would have thought to do this before. Gorgeous! I will have to make some of these with our leftover eggs! Found you on craft site. Oh my goodness…. these are so adorable! Pinned! FYI… I wasn’t able to use your pin button… something may be amiss! What a sweet idea! Shame on my for cleaning out the attic last month and throwing out a bag of plastic eggs!!!! I am definitely making some of these. Love the old-fashioned look in that milk glass compote. Just lovely. 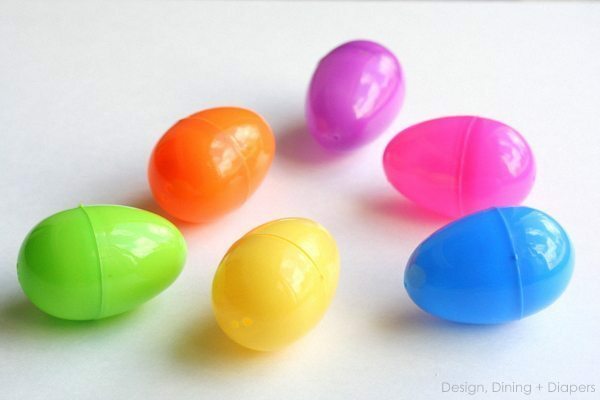 eggs want to pop back open when you snap them together.